Cellist Alexa Ciciretti has established herself as a performer who is equally at home playing baroque viola da gamba music, Romantic symphonies, cutting-edge contemporary music, and everything in between. As a fourth year cello fellow at the New World Symphony, she has served as principal cellist under conductors such as Michael Tilson Thomas, Osmo Vänskä, Matthias Pintscher, and John Adams. 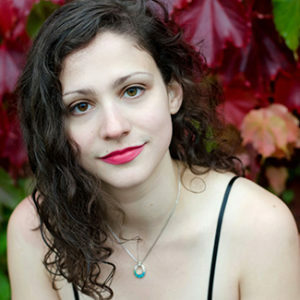 She curated several recitals at New World, including two duo recitals with pianist John Wilson and a lecture-recital entitled “Pathologically Modern: New Paths to New Sound Worlds.” As an orchestral cellist, Ms. Ciciretti has performed as a member of the Rochester Philharmonic and Aspen Chamber Symphony. An avid advocate for Baroque and contemporary music, Ms. Ciciretti has performed with members of the Eybler Quartet and served as continuo cellist on the U.S. premiere of Vivaldi’s Farnace at Spoleto Festival USA. She has collaborated with members of the JACK Quartet and will perform with Jay Campbell at the Ojai Festival in 2019. She has performed contemporary chamber music extensively during her time at New World, including Peter Maxwell Davies’ Eight Songs for a Mad King with Kelvin Thomas and George Crumb’s Black Angels. Ms. Ciciretti also attended the Lucerne Festival Academy in Switzerland, and performed with the Miami-based group Flamenco Sephardit. She recently starred in the short film, “A Waning Heart,” which was screened at the 2018 Cannes Film Festival. Ms. Ciciretti received her master’s degree and orchestral studies diploma from Eastman School of Music and her bachelor’s degree in cello performance with a minor in historical performance from Oberlin Conservatory. She also studied at the NEC Preparatory Division. Principal teachers include Steven Doane, Amir Eldan and Ronald Lowry. When not playing cello, she enjoys cooking, eating chocolate and enjoying the weather in her native New England.